Relax at our classic 3 Bedroom Bach. Located just minutes from the quieter end of Cooks Beach (and a small grass reserve/swings/tidal stream). Enjoy a BBQ on the deck while you watch the kids play in the fenced yard (plenty of room for the boat and cars too). This end of Cooks Beach is great for swimming, kayaking and beach cricket. The other end of Cooks Beach has a boat ramp and a children's playground. Drive just 10 minutes and you can explore other local beaches (Hahei, Hot Water Beach, Flaxmill Bay, Front Beach) plus cafes and vineyards. Take the ferry to Whitianga for shopping, eating etc. 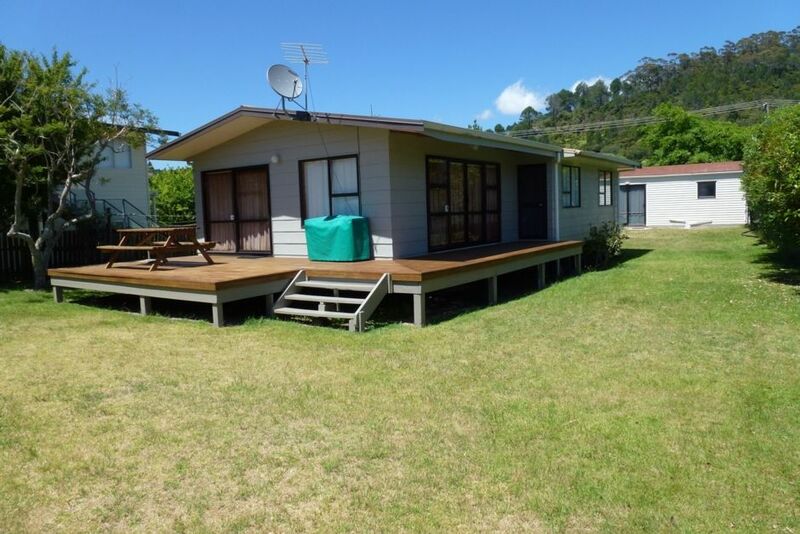 An ideal spot for families to unwind and/or enjoy the many activities on offer in this fantastic part of the Coromandel Peninsula. Heat Pump available in Winter. Paper towels, salt, pepper, cooking oil, sugar, coffee & tea provided.